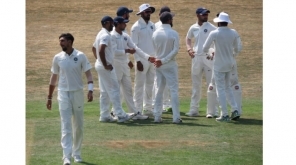 Indian opening pair didn’t score as expected in the warm-up match against the Essex XI and the new opening pair replacing the explosive Rohit-Dhawan pair is quite tough, Since it is hard to form a concrete opening pair with good chemistry. The 3-day warm-up match took place ahead of India vs England Test series. A Twitter poll has been conducted regarding this and the result is published at the bottom. 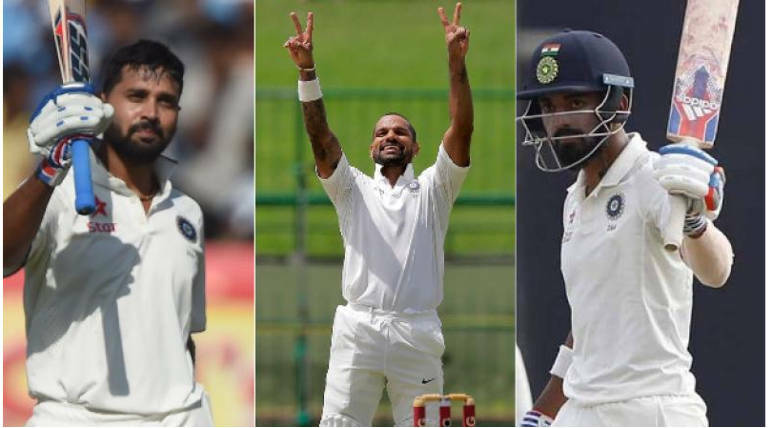 In the warm-up innings, India tried opening with Dhawan-Vijay and Dhawan-Rahul in 2 innings where the left-handed batsman didn’t score any run in both innings while other 2 batsmen stood in the crease for a while and built partnership with other batsmen. The top order confusions were on and people started debating about the choice of batsmen. India had a combination of right-left batsmen opening together in past days which had Rohit-Dhawan opening for past 4 years and before that period India had one of strongest opening pairs Gambhir-Sehwag which was a nightmare for the opponent bowlers back then. The last time 2 right-handed batsmen opened for India was with Sachin and Sehwag which had 2 legendary batsmen ruling the top order. The recent quick poll conducted in Twitter showed a massive favour for a new opening pair that India has never seen and people seem to have been confident on this pair. 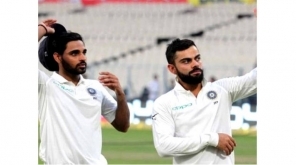 The poll consisted of Shikar Dhawan, KL Rahul and Murali Vijay opening with each other and the result was a surprising one suggesting India open with 2 right handed batsmen after a long time. We have to wait and see if the people’s opinion comes true in the upcoming test matches and BCCI’s decision is still mysterious. The Poll results are shown below in which Rahul - Vijay pair was favoured by a huge margin.